Part of what makes our eggs so unique is that we oversee all aspects of bringing you farm fresh eggs – from our premium feed to delivering your eggs safely and punctually. OUR EGG FARM IS SPECIAL IN THAT WE CONTINUE TO RUN OUR OWN MILL, ON-SITE, AND WE MILL ALL OUR OWN FEED. WE DO NOT MAKE USE OF ANTIBIOTICS, STIMULANTS, OR GROWTH HORMONES*. PERIOD. And when it comes to the patented, 100% vegetarian diet, our Eggland’s Best hens produce an egg with award-winning taste that is nutritionally superior to ordinary eggs. This is the Cadillac of eggs! You can learn more about our Eggland’s Best eggs in the “About Our Eggs” section. *All eggs are produced without added hormones. ALL OF OUR FLOCKS ARE VARIOUS STRAINS OF BROWN HENS (COUSIN OF THE RHODE ISLAND RED) AND WHITE LEGHORNS. We raise all our hens from day one. Called “pullets,” these chicks are welcomed by us when they are just one day old. By raising and caring for our birds from the beginning, we can ensure their long-term health and well-being. When ready, our pullets are then placed in layer barns and will begin producing eggs within a few weeks. In the layer houses, we simulate spring-time through the lighting program since that is the season birds are most productive. OUR HENS PRODUCE ABOUT 5-6 EGGS A WEEK OR ABOUT 260-280 EGGS PER YEAR. Interesting fact, the per capita egg consumption in the U.S. is about 275 eggs per year so you could say every American has a hen specifically producing eggs just for him or her. 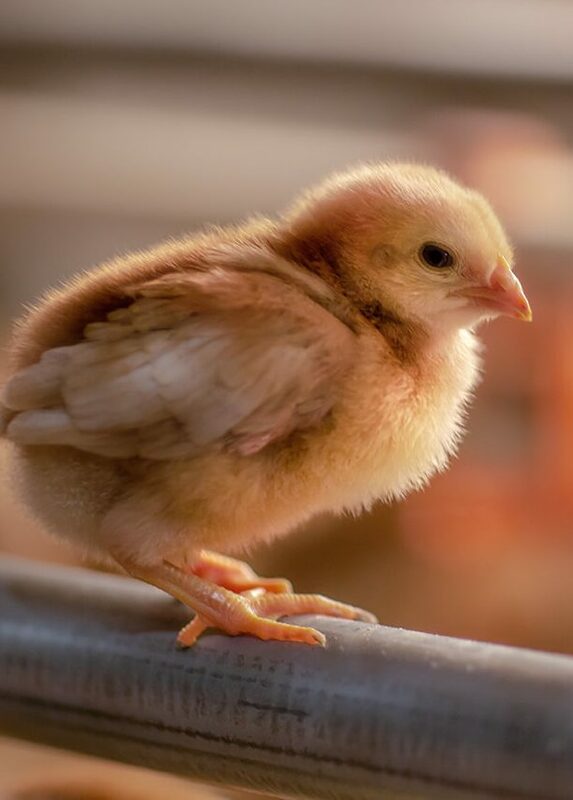 The environment in the barns is carefully monitored via an electronic management system—feed and water consumption, temperature and production are finely tuned to meet the hens needs. 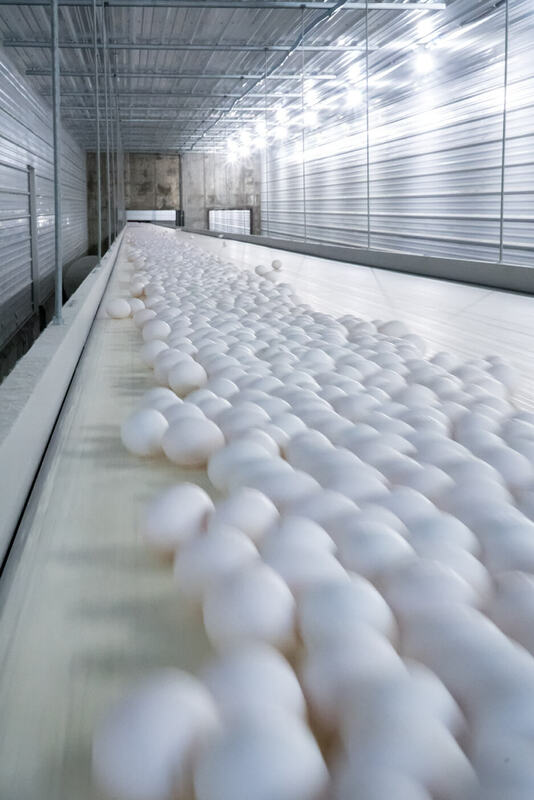 Although managed by our trained staff, there is no hand-gathering of eggs in the barn anymore, automatic conveyors transport the eggs from barn to processing plant just minutes after being laid. WHEN THE TIME COMES FOR PROCESSING, LIKE OUR HENS THE EGGS ARE TREATED TO ULTRA-MODERN AND PRISTINE EQUIPMENT. Every day of the year we collect all freshly laid eggs, then wash, candle, grade/size, package, and refrigerate them to USDA quality specifications. Our eggs always make the grade! Soon thereafter, these eggs will be on a refrigerated truck destined for your favorite grocery store or restaurant. But our process doesn’t stop there, we also meet regularly with our customers, dairy managers at grocery stores, and restaurant owners – checking on product freshness, providing information, and even sharing recipes. You will probably find us sharing our family story and eggs-pertise at community and consumer events throughout the west as well.